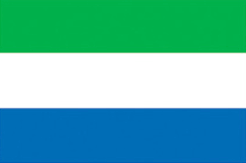 Northern Province is one of 4 primary administrative regions in Sierra Leone with a population of approximately 1,718,240 people. The regional headquarters of Northern Province (Northern Province) is located in the regional capital Makeni (Makeni) with a population of 87,679 people. The distance as the crow flies from Northern Province's regional capital Makeni to Sierra Leone's capital Freetown (Freetown) is approximately 138 km (86 mi). There are 5 administrative subregions in Northern Province.